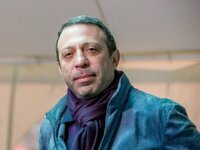 The Prosecutor General's Office (PGO) and the Security Service of Ukraine (SBU) have confirmed the information about the detention of the former deputy head of Dnipropetrovsk Regional State Administration, who participated in the elections for Kyiv mayor from UKROP Party, Hennadiy Korban, who could be the head of an organized crime group, however stated he has not been accused. Pre-trial restrictions will be chosen for him soon. "Korban has been detained. I think we'll choose pre-trail restrictions for him soon. But as this is determined by court, it is necessary to wait for a court ruling," SBU spokesperson Olena Hytlianska said.